With a complete range of pieces available the Tommaso B634 Natuzzi Editions stylish and extremely comfortable model is showcased as part of the largest collection of Natuzzi Editions corners and sofa groups in the UK at the first 10,000 ft.² Natuzzi Editions Gallery and outlet store Furnimax. 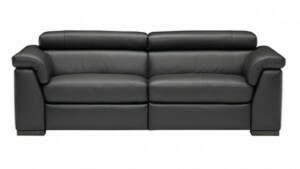 As a home cinema seating Sofa and theatre corner group specialist Furnimax has included the model as a cinema sofa format and also offers the availability of three seater, two seater, armchair, left or right hand facing corner group all with the availability of power reclining seats featuring heat sensitive control. Showcased in a stunning protected leather within the U.K.’s largest Natuzzi Editions gallery outlet at Furnimax, The B634 Tommaso can be ordered in any leather from a huge selection, transforming the sofa to all sorts of styles.